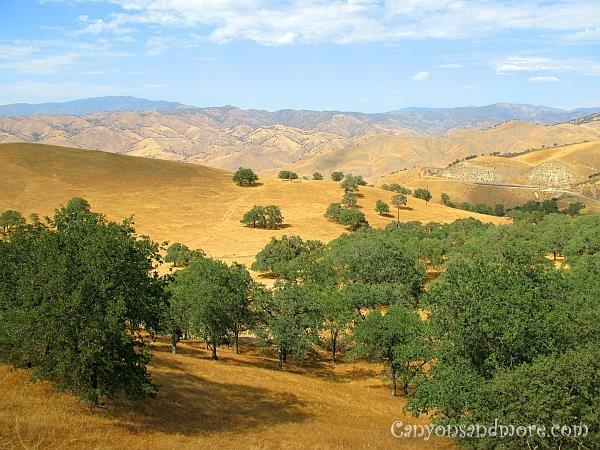 If you are looking for a state to go where you can swim with the fish in the ocean, hike through lucious green forests, melt in hot deserts or climb mountains and waterfalls then California is the place to go! 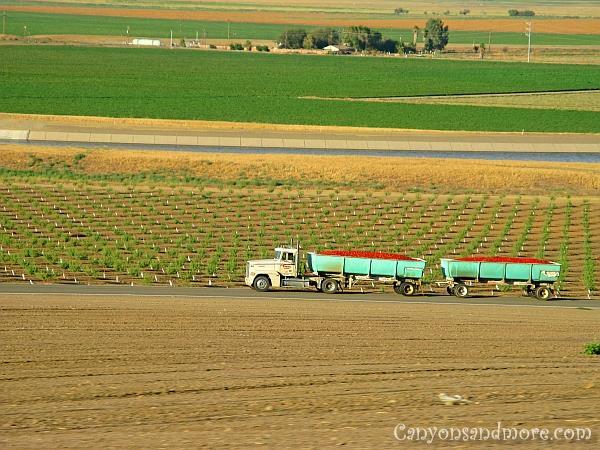 These are images taken from travels to locations throughout the state of California including San Francisco, Monterrey, the Pacific Ocean, Sequoia National Park, Yosemite National Park, Death Valley National Park and other attractions found within the state. The hills in the image above look so inviting and soft and one just wants to take a long stroll and feel the warmth of the landscape. 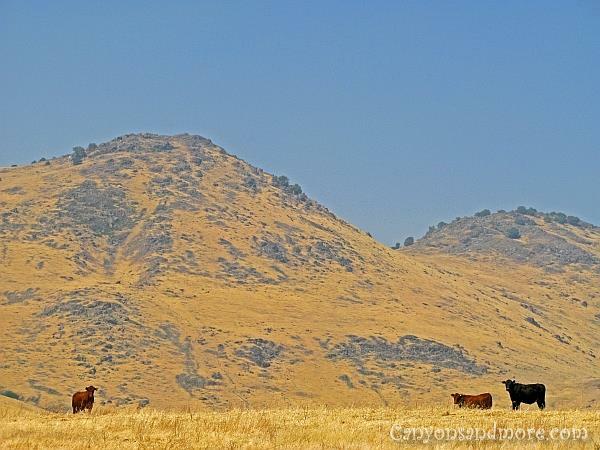 During the journey from San Francisco to Death Valley, the landscape seemed idyllic with the bulls grazing on the dry grass of the hills.This landscape looks so soft and warm. 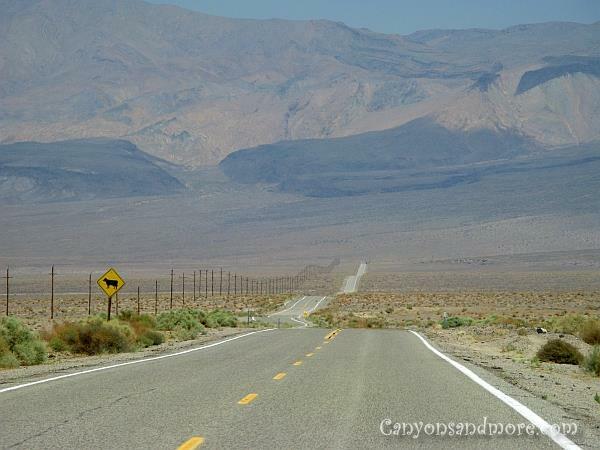 When driving from Californa to go to Las Vegas, it is worth a detour on the Highway 190 to see the incredible Death Valley. The highway is like a serpetine taking you through the canyon like landscape of rocks, hills and sand dunes. Make sure to have plenty of water with you when you make this journey. It can get incredibly hot in this location, especially during the summer so it is very important to have plenty of water while travelling through this region. There are hardly any possibilities to get gas or food for a couple of hours, so it is good to be prepared before driving through the desert. Before you even reach the park, you think for the longest time that you are already in the park because of the desert like landscape. But there is a sign indicating when you officially reach the park. At Stovepipe Wells there is an opportunity to pay the entrance fee of $20 (as of August 2008). There is a payment machine in where you can pay the toll. Black crows seemed to have replaced the park rangers at that location. They were watching us closely as if they were making sure we were paying the right amount at the booth. After paying, miles and miles of driving bring you through fascinating landscapes. The road just seems to go on and on and then dissapate into the horizon. Death Valley is not only a desert but also also a region covered with soft rolling hills and mountains. Death Valley is also arid. It is hard to believe that any animals or plants could exist in this terrain due to the hot temperatures and the lack of water. 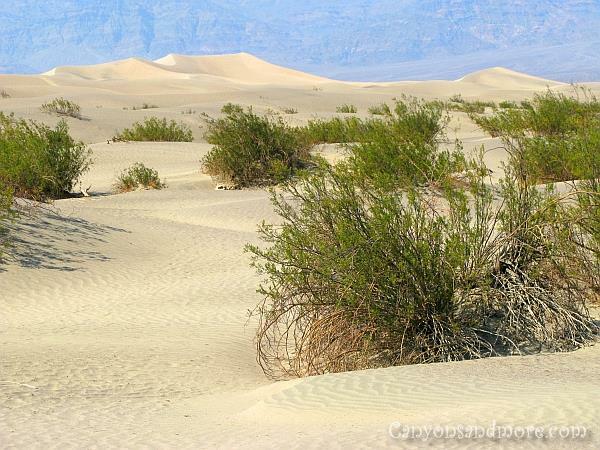 Death Valley is a major contrast to the Pacific Ocean on the West Coast and the mountainous areas within the state. The sand dunes are a major attraction and are just one of the many different types of landscapes you will see within the park. They were not as large or as many as expected, but fascinating just the same. These can be found within walking distance from the highway. During the summer while we were there, it was almost too hot to approach them and it is advisable to carry water with you if you do so. What a blissful sight! With all of the sun the state of California gets, the tomatoes are guaranteed to have a rich and wonderful flavor. 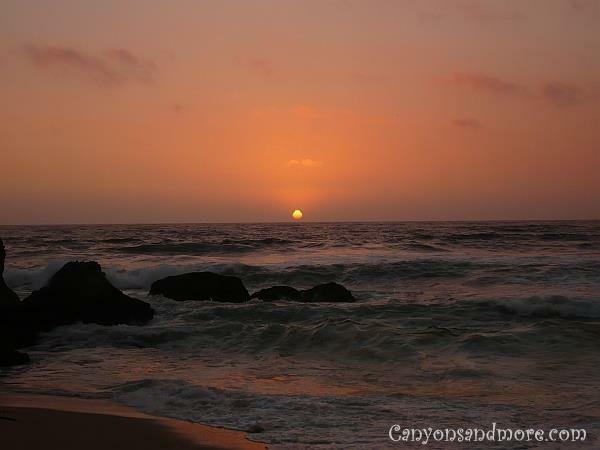 You cannot visit California without having at least once experienced a beautiful sunset on a beach. The spray of the Pacific Ocean mist and the light breezy wind of the evening give you a warm magical feeling. The drive along the Pacific Coast Highway 1 is relaxing and there are plenty of possibilities to stop and take pictures. Read more about the Pacific Ocean. 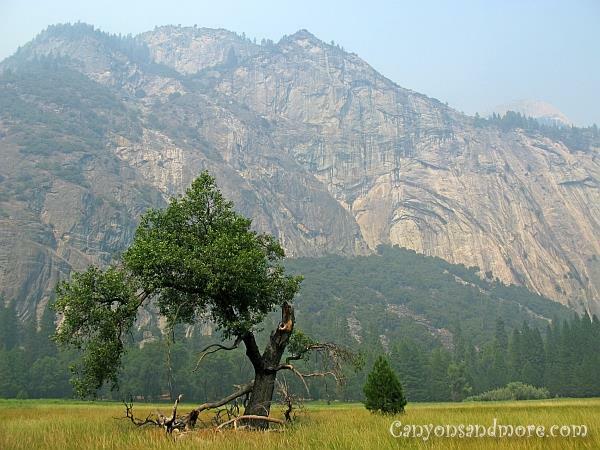 The drive to Yosemite takes you along winding roads through vast areas of forest and mountains. There are many stopping points along the way to get out and enjoy the breathtaking scenery around you. Before entering the park, you are required to pay an entrance fee of 20 Dollars which enabled you to enter the park for 7 consecutive days. It may cost more this year, so you may wish to inform yourself before going. Then you just follow the signs which led us to the park. 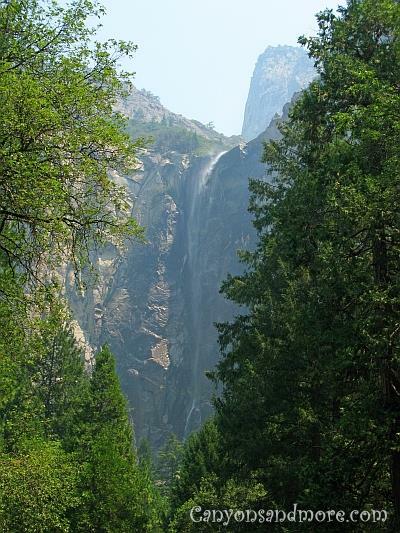 The image shows the Bridal Veil Falls at Yosemite. The drive to the park takes you through breathtaking landscapes of forests and mountain inclines, even before you arrive at the park. All along the highway,there are vista points that you can park at to make remarkable photos of the journey. The drive to the Sequioa National Forest will take you through a gorgeous mountainous landscape with winding roads and breathtaking scenery. There are often opportunities to stop and take pictures. There are also quite a few deer crossing the roads so caution is advised while driving through the area. Already at the parking lot, you can see just how large the trees can get. 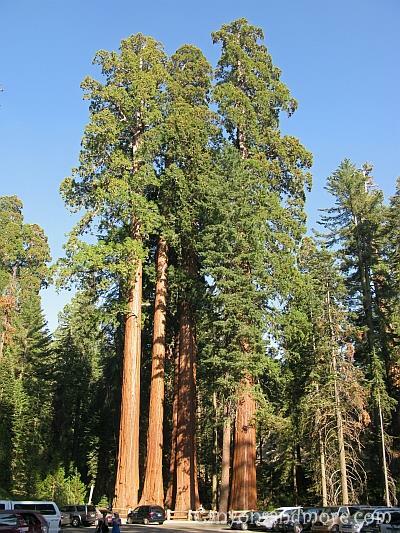 From this area, you can follow a well marked patch through the beautiful forest to see the famous General Sherman and General Grant trees as well as other interesting sights. 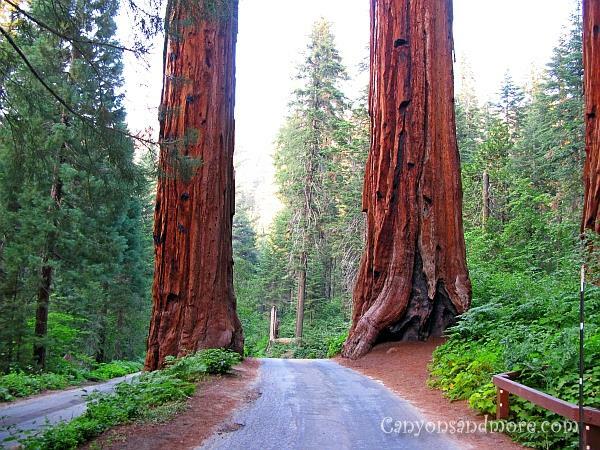 How often do you have a possibility to drive between two gigantic trees like these? It is so amazing just how large the trees can get here. And if you are lucky, you will find extremely large sized pine cones, too.